Note: several of these are blank-and will be until I can get them photographed - please bear with me. 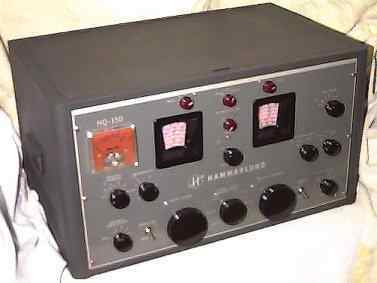 I have long considered the HQ-215 to be one of the prettiest receivers ever made. All solid-state, it uses Collins mechanical filters for selectivity, and can accommodate a ton of extra frequency range crystals. Another one of my favorites, it also can be operated from 12VDC. This is one of those examples of a solid state unit that must be considered a boat anchor as far as I'm concerned. Pretty rare these days. 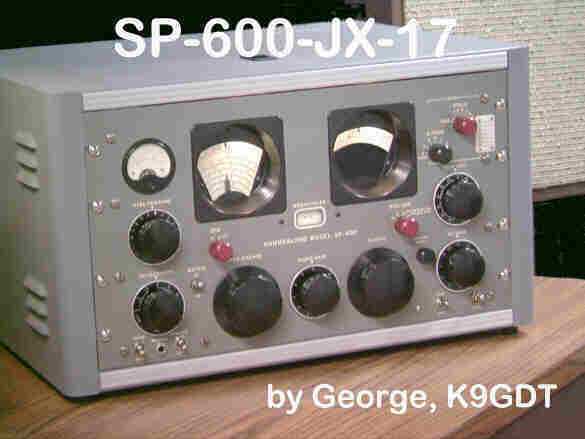 This beautiful SP600-JX-17 photo I found at George, K9GDT's website: George's Place. It is a VERY interesting site, with much to offer. I highly recommend the WWII audio item. As for the SP-600, it is yet another 'favorite' receiver of mine. It has the best tuning mechanism I have ever had the pleasure of tuning. A wonderful General Coverage HF Receiver!